CPACharge is a proud member benefit of the Maryland Association of Certified Public Accountants. 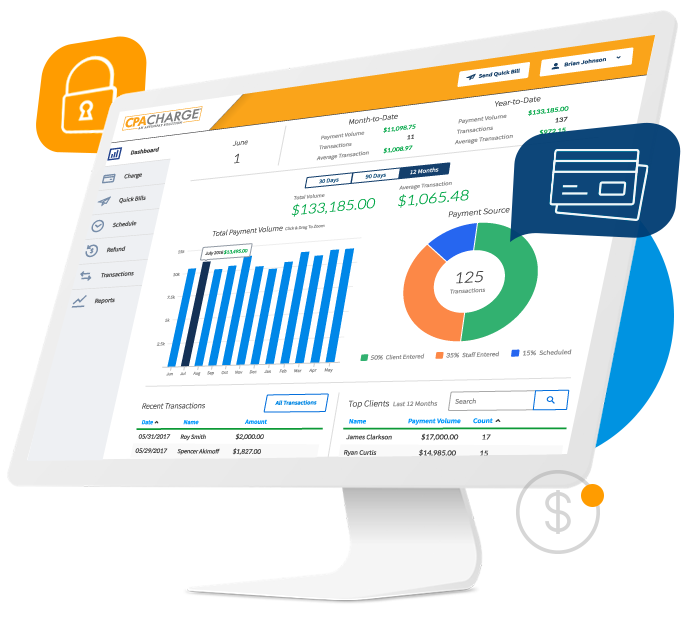 CPACharge provides tools for MACPA members and CPA firms nationwide to easily accept credit, debit, and eCheck payments online or in the office. Together, MACPA and CPACharge are continually working toward the growth and success of your firm. When you sign up for a CPACharge account through the Maryland Association of CPAs, we'll waive your monthly program fee for three months. Process as much or as little as you want every month using CPACharge with no long-term contracts or obligations. Start accepting payments via CPACharge right away with no set-up fees, and cancel your account anytime without penalty. Our online payment technology lets you accept payments in your office, on your website, or by email without special hardware or equipment. While other processors charge extra for recurring billing and PCI compliance, CPACharge includes these features at no additional cost. The CPACharge system is user-friendly—it literally took minutes to be up and running. Between the website link, the email links, and the ability to run charges from both our offices, CPACharge has greatly benefited our clients, as well as our office teams.